How much will 2 150 watt CFL cost per month on electric bill? Discussion in 'Growing Marijuana Indoors' started by HUBSonDUBS, Apr 19, 2006. 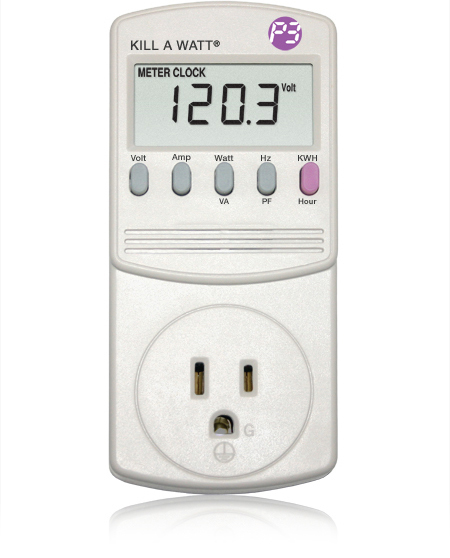 If i have 2 150watt CFL on 12 12 for 2 months how much will the monthly bill be? anyone know how to accually add up the math...like the cents per w/e it all is..? you take the total amount of wattage you are using for your lights. you divide that by 1,000. you then take whatever your utility co chargs per kilowatt hour and multiply that by the answer to the first part and then multiply by the amount of hours they run. Exactly. Good explanation, up4anything. Remember with cfl's to use the true wattage in your calculation, that should be the lower wattage number on the package (and the only one printed on the bulb or ballast), that lower wattage and hence lower energy cost is the whole idea behind cfl's in the first place. For total energy use and cost for your grow don't forget to add in fans and any other electrical devices. In some areas electricity costs are different at different times of the day. My bill doesn't even tell me my unit rate, but I can just take my total usage charge and divide by the kilowatts used to get the number. It makes it pretty simple to figure out usage. rytis Lover Of Mary J. So if you got plant in veg. ...then 18 h. at day and example 28 days in month. Two lamps taking 0,3 $ in 1 h.
So at 18 h sum would be 5,9 $...28 days...-151,2$. T-Time item will be on. X-Price of specificated item which used some electricity amount on specificated time period. how much will 3 - 42W ( 150 Watt Equivalent ) CFLs bulbs raise up my electricity bill? 200W CFL - How much should this cost to run per month? How much will my electric bill increase?? ?